Engineering colleges. The first things which come to mind are their accreditation, reputation and placements. That is every-ones primary focus. The campus is also an important aspect. The campus is a place where one spends 4 years of their life, bunking classes, going on long walks with their special someones and especially to take the occasional DSLR photo-shoot. Here are a few campuses with such profound beauty. Does it need any justification? Sprawling over a humongous 620 acres area, this happens to be one of the oldest reputed colleges in our country. Located in the heart of the city, is a serene and pristine campus which one could still get lost after 4 years of engineering. If you’re a nature lover, Amrita is the place for you. A lot of emphasis is placed on eco-friendly and conservation practices. The campus gives you the feeling that you’re at a hill-station. The foggy mornings and windy evenings are bound to capture your heart. Probably the only campus with a private beach. Enough said, hands down, one of the best places to spend your free time. Especially when it rains. Vellore is known for its heat factor. Despite that, VIT is Branded as one of the most modern and loved campuses in the country, VIT has students enrolling from over 50 countries and has high standards to maintain in terms of architecture. 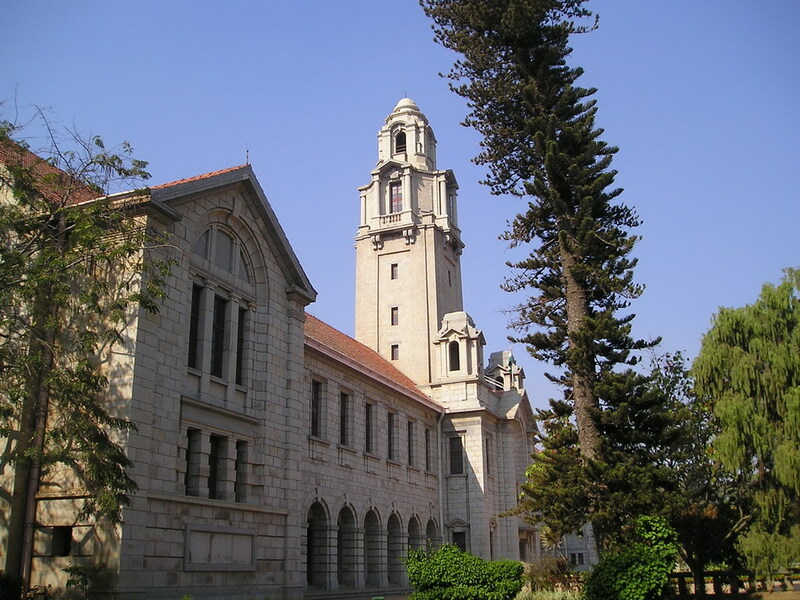 IISc is 400 acres of architectural beauty. It is a college which is well planned and perfectly equipped with the right amount of greenery. SRM is one university known for its tall buildings and modern architecture. It boasts of having a lake inside campus. Trichy is another city known for its extreme heat and tough conditions. The NIT in trichy however tries to curb the heat with its pristine campus which sprawls over a mighty 800 acres area. Its a complete package, with an olympic state-of the art swimming pool and a huge library, NIT is a small town in its own. BITs in Goa. Spread over 180 acres of eye boggling scenic beauty, the campus is every photographers dream. the weather acts as a perfect supplement to make your college days one hell of an adventure. About 10 kms from the city, Osmania university campus will remind you of an entirely different time era. Its one of the oldest engineering structures still in use and has the antiquey look to it. 10. 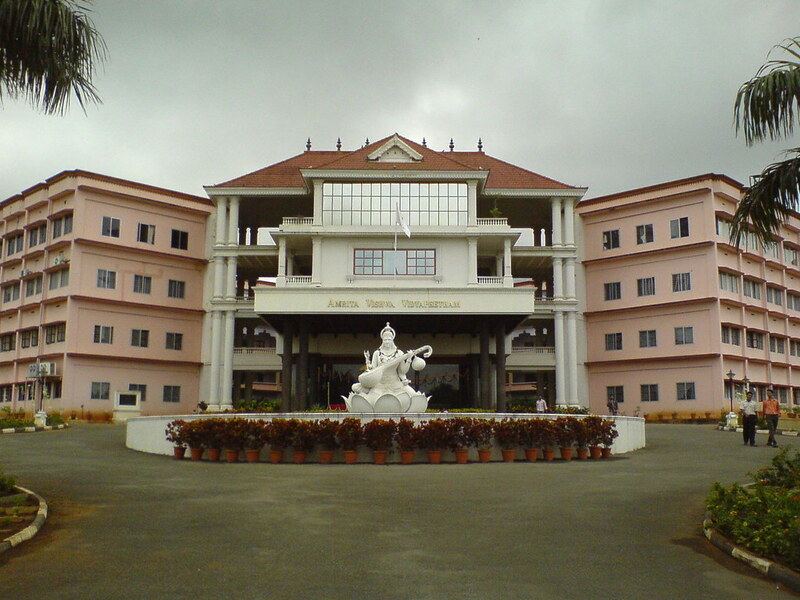 RV college of engineering, Bangalore. Although RV college of Engineering does not have a mammoth campus to boast of, it sure does have a neat and smart one. it gives you the your-in-an-amusement park feel with its colorful and vibrant campus. Sure is like how they show it in the movies folks!